Wine sophisticates know Irsai Oliver already. But this Oliver is not a wine. It’s a fine spirit, made with tender loving care. 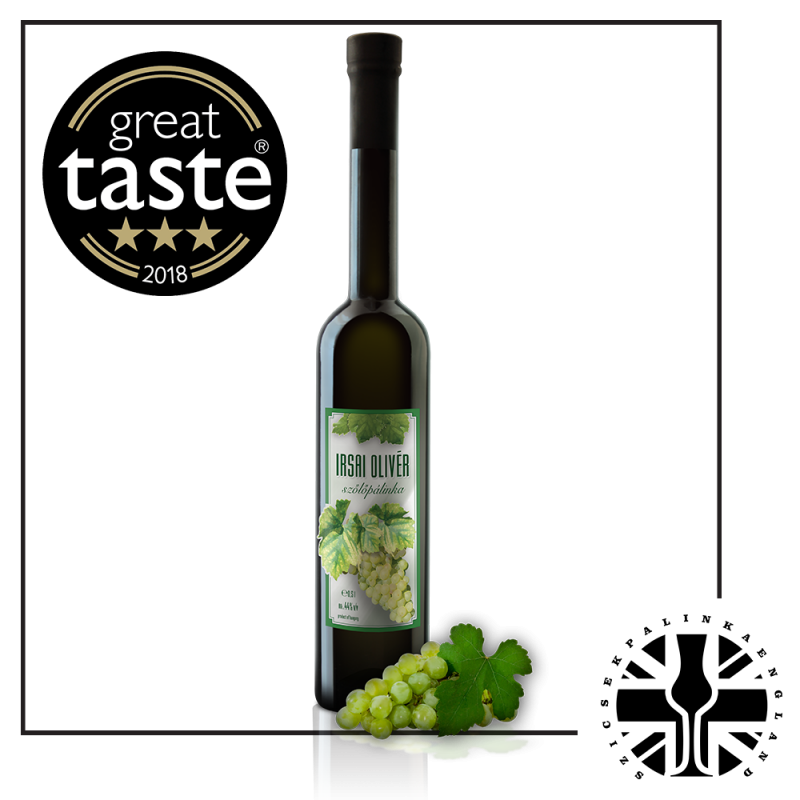 No rough pressing of the grapes, just gentle stemming, and then fermenting on the skin.The result is a positively blooming, sweet smelling palinka with a wispy taste.As a table wine it can be compared to Pinot Grigio, but gives more fragrances similar to Muscat. 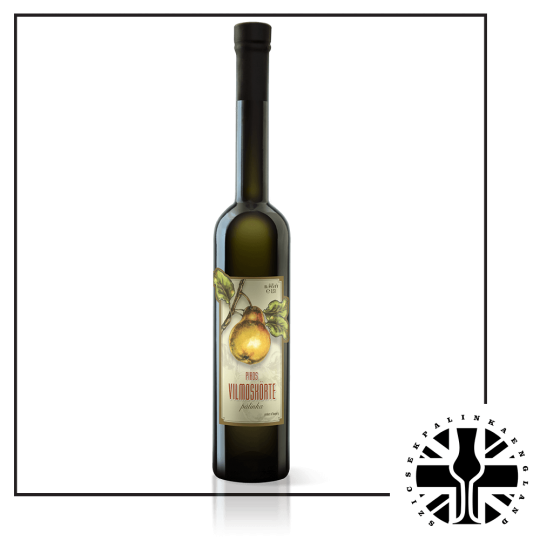 The wine has a light, green-yellow colour, fragrance of tropical fruits and lemon and it has a low acidity level. Irsai Oliver alone is best drunk young but it is often improved by blending with a more structured variety.Oliver Irsai famous to all gourmet. It is doesn’t made by rough pressing only destermming and skin fermentation.The result is especially fresh, sweet smelling. Irsai Oliver is a recent Hungarian cross-breed (between Hungarian grapes of “Pozsonyi White”and “Pearl of Csaba”). The grape has rare leafage, big, loose clusters and it is not sensitive against illnesses. It ripens in August. Irsai is mostly planted in Hungary, but it has some plantings also in Moldova, Slovakia and Russia. This wine is very popular in Central Europe, it is easy going, beloved, a true chilled lady´s summer-wine. It goes well with Hungarian dishes such chicken stew with cream and paprika, so called “Chicken Paprikas”. 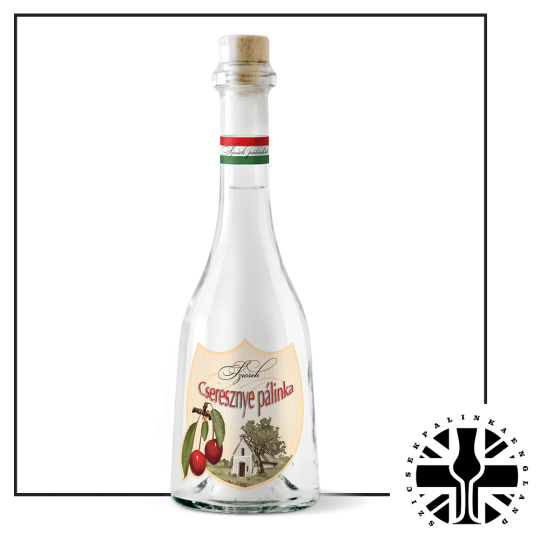 Palinka ( Hungarian fruit spirit) has been turning into a reborn Hungarikum ( a typical Hungarian treasure in the Carpathian Basin) since 1990. 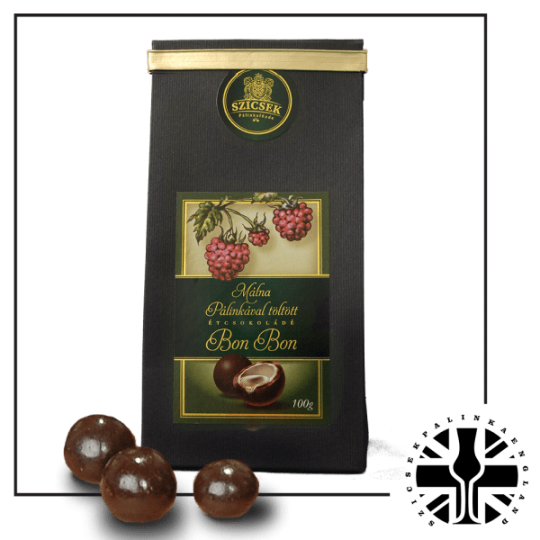 We recommend our distillates which have been part of this transformation, for moderate consumption. These spirit are distilled from home grown and wild fruits. Palinka is appertizing and stomachic. it is a welcome drink at family gatherings or parties. 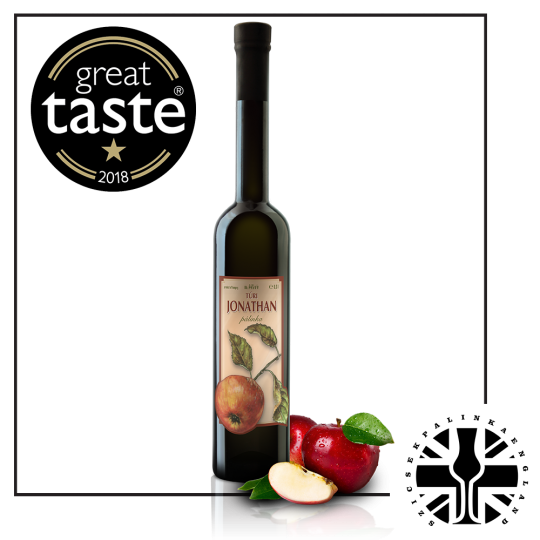 Premium Irsai Oliver Grape Palinka we recommend for pasta,fish and no too sweet cakes. 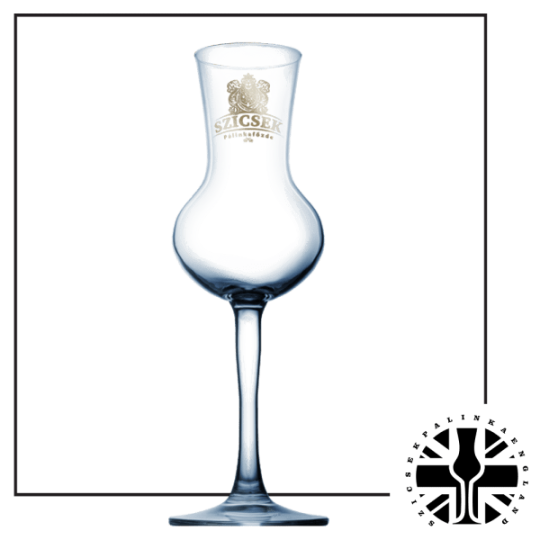 Or you can drink with cocktails.